Today’s blog article has kindly been provided by Wynne Jones IP, which is one of our Charter signatories. Wynne Jones writes: “Diversity isn’t necessarily the first word that would traditionally be used when discussing the intellectual property industry. Misconceptions around IP over the years have included that it is male dominated and may lack women in positions of power, and that attorneys are chosen based on the elite educational institutions they have attended. Of course, a chat with anyone at many firms throughout the UK will quickly dispel these myths. Over the years specialist groups including IP Inclusive have worked tirelessly to address and improve issues surrounding diversity and inclusivity, which might have previously been associated with the profession. And while it is clear that great strides have been made in creating a more equal IP landscape, where employees feel respected regardless of their gender, race, religion, sexuality, and cultural differences, there is still some work to be done. A recent report from Fellows and Associates at an IP Inclusive event revealed that 43% of respondents had experienced some form of discrimination based on personal attributes including gender, age, mental health, race, and sexuality. And when the patent application landscape in particular is analysed more closely, it is clear gender-based divisions still exist. According to the World Intellectual Property Organisation (WIPO) just 30.5% of the international patent applications filed included at least one women inventor. 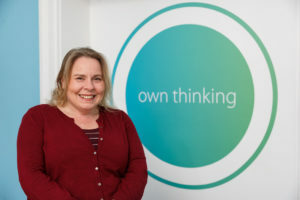 Fiona Watkins, diversity and inclusivity officer at leading intellectual property firm Wynne Jones IP, said that while awareness around these issues across the industry has demonstrably improved, she believed more needed to be done to actually embrace and demonstrate greater diversity and inclusivity. She said: “Diversity is so important across the IP industry, as it opens up the profession to a talented pool of individuals who may not have been considering it before but are ultimately the future. “At Wynne Jones IP we are committed to this, and as a founder signatory of The IP Inclusive Charter, we can tangibly demonstrate our commitment to being more diverse and inclusive now, and in the future. Miss Watkins feels that the reasons behind a historically perceived lack of diversity and inclusivity in IP could be down to a failure to involve employees. She stressed that in order to enable firms to truly embrace equality, people at all levels of the business needed to play a role. She said: “Traditionally in IP firms, only partners or those at board level would have discussions and make business decisions, often in areas outside of their expertise, which could also involve practices surrounding inclusivity and diversity. “This inhibits innovative thinking and business progression in making the right and appropriate business decisions. “At Wynne-Jones IP, our approach is anything but that. All employees are equipped with the ability to be included and consulted in the decision-making process based on the skills and experiences they can bring to the discussion. This encourages inclusion and innovative thinking. It is evident that Wynne Jones IP has made impressive strides in ensuring all its locations, which includes Cheltenham, London, Telford, and Cardiff, have become increasingly inclusive. In its 2018 Diversity Report the firm revealed that its staff is now 57% female, and comprised of 85% non-Oxbridge graduates. Furthermore, two of the firm’s senior positions, including management and partners, are occupied by women. But with Wynne Jones IP leading by example for female representation in the IP industry, does Miss Watkins feel that female representation will continue to see an increase? “Yes and I’m confident that the number will only grow,” she said. “We have seen an increase in the number of women joining the firm, all of whom have enabled us to expand on and strengthen the services we offer. In order to reinforce their equal and inclusive culture, the firm runs a specialist project called Change Champions, which sees team members work with senior management to implement efficient ways of working and introduce change that will benefit both employees and clients. She added: “We pride ourselves on our inclusive and forward-thinking culture. We have always considered diversity to be integral to the backbone of Wynne-Jones IP’s values and the firm’s success. “Our culture is continuously evolving, and we are far removed from what you might find in a traditional IP firm. Our culture encourages career progression, professional development, contributions and inclusion in on-going projects and commercial awareness whilst at the same time ensuring all team members feels supported and able to thrive.